Keynote Title: Increasing the impact of behaviour change intervention research: Is there a role for patient and public involvement? There is powerful evidence that changing people’s health-related behaviour can impact the leading causes of mortality and morbidity. However, despite the significant potential to improve health and clinical outcomes, behaviour change interventions frequently fall short of expected reach or impact. Patient and public involvement (PPI), where patients and members of the public are actively involved in the activities, organisation and governance of research, has been proposed as a strategy to improve the quality, reach and impact of research. Using PPI across the whole research process can make it more likely that behaviour change interventions are relevant to users’ needs, better designed, more likely to be implemented and, ultimately, more effective. In this talk, Molly will introduce the key concepts of PPI and critically evaluate the current evidence for PPI as a strategy to improve research quality and impact. Molly will present a selection of studies, all with a strong PPI component, conducted within the Health Behaviour Change Research Group at NUI Galway. These include a research prioritisation project which sought the views of people with diabetes, services providers and policy makers to identify research priorities in behavioural diabetes research. In another study, Molly and her team used consensus methods to identify a core outcome set for young adults with Type 1 Diabetes. In another study (the D1Now Study), a ‘young adult panel’ of young adults with diabetes joined the research team to develop an intervention to promote self-management and better outcomes among this population. Finally, Molly will reflect on the experience of using these strategies, outline lessons learned and offer guidance for future attempts to embed PPI within behaviour change intervention research. 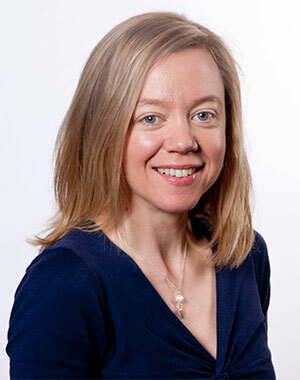 Molly Byrne is a Professor of Health Psychology at the National University of Ireland, Galway. In 2014 she was awarded a Health Research Board (Ireland) Research Leadership Award to establish and direct the Health Behaviour Change Research Group (HBCRG). This group aims to improve population health by developing and promoting an evidence-based behavioural science approach to health behaviour change interventions. Within the team, researchers work closely with ‘health partners’ to develop novel approaches to increase the implementation and impact of behaviour change interventions, with particular interest in participatory approaches involving patients and public. Molly is currently leading a number of intervention development studies, pilot trials of interventions, implementation studies and definitive intervention trials, in areas including: self-management among young adults with Type 1 Diabetes; attendance at structured education programmes for people with Type 2 Diabetes; delivery of sexual counselling within hospital cardiac rehabilitation; interventions to increase physical activity among overweight pregnant women and interventions to promote healthy infant feeding delivered in primary care. Molly has published extensively in the field of health behaviour change interventions and has secured over 9 million euro in research funding in the last 15 years to build her programme of research. She was recipient of an Irish Canada University Foundation James Flaherty Visiting Professor Award 2016-17 and a Wellcome Trust Research Leadership Development Award 2017. She is a member of the Scientific Advisory Board of the European Joint Programming Initiative ‘A Healthy Diet for a Healthy Life’. She is part of the team who secured a Health Research Board PPI Ignite Award 2017 – to support Public and Patient Involvement in Research across NUI Galway and nationally. Molly is past Chair of the Psychological Society of Ireland Division of Health Psychology and former Irish National Delegate and Grants and Education Officer of the EHPS. She established, and currently co-directs, the first Health Psychology Practitioner training programme in Ireland, the Structured PhD in Health Psychology Practice.